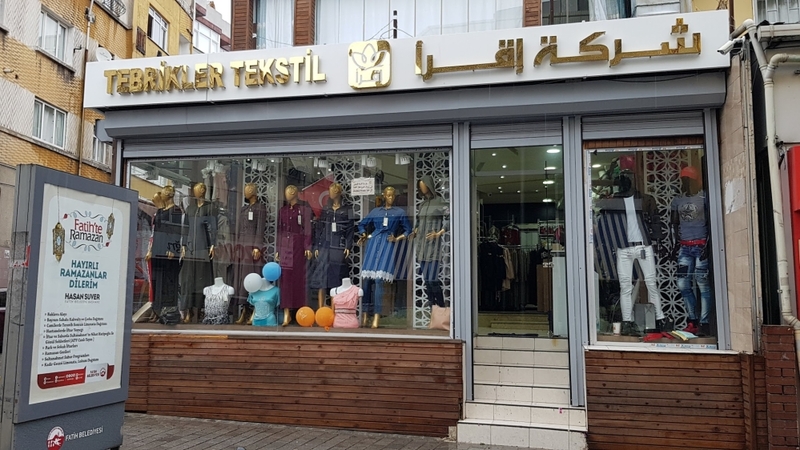 Istanbul, Turkey – With shop signs in Arabic, Syrian food served in restaurants and fashionable abayas and Arabic perfumes available in shops, Malta Market Street reminds more of Damascus to its residents than Istanbul. The conservative Fatih district in Turkey’s largest city has been home to Syrian refugees since the early days of the war in neighbouring Syria. 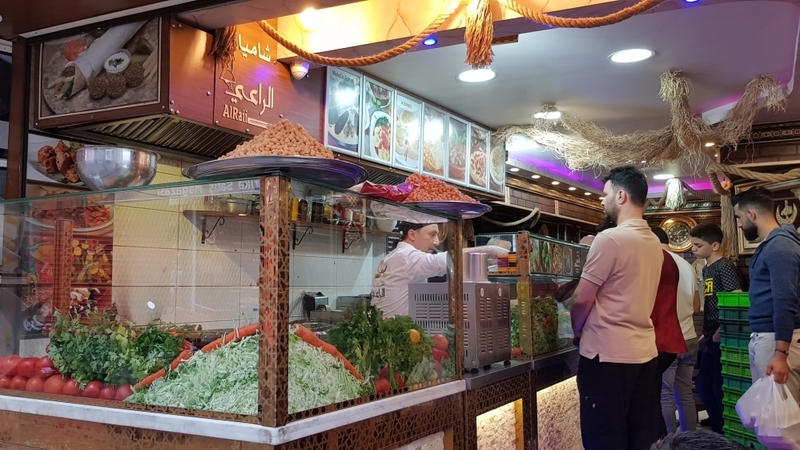 Dubbed the Syrian or Damascus Bazaar, the area in and around Malta Market Street in Fatih is home to a multitude of restaurants offering all kinds of Syrian delicacies. Syrian-owned confectioneries, coffee shops and bakeries also dot the neighbourhood’s streets, in which Arabic is the primary language of communication. Standing outside the mobile phone shop he works for, Omar Rassam says he left Syria six years ago, right after the fighting started. “Turks here got used to Syrians in the course of years. It is not the same in other parts of Istanbul,” the 25-year-old told Al Jazeera. After leaving his hometown of Damascus, Rassam said he spent two years in Lebanon before coming to Turkey. “It was hard to survive in Lebanon, with no government help and people were not friendly. I have been living here for four years without problems,” he said. Metres away, Ali Najib is busy tending to customers’ orders at a Syrian-owned sweets shop. Like Rassam, 32-year-old Najib says he feels at home in Fatih, where he’s lived for five years and seen the Syrian population grow. “I like my life in Istanbul, there is peace here,” he told Al Jazeera. A 2017 survey showed that 74 percent of Syrians living in Turkey seek Turkish citizenship. Turkey opposed the Syrian government’s policies after the Syrian war started in 2011. In the following years, it backed the moderate opposition, while opening its border to Syrian refugees running away from violence. Ankara’s total open-door policy towards Syrians went on until January 2016, when it began imposing visa restrictions towards the ones entering the county by air or sea. According to human rights groups, Turkey’s border stayed largely closed from 2016 on, with reports of refugees getting deported or even shot at while trying to enter the country. Turkish officials denied the claims. The Turkey-Syria border dynamics have significantly changed after Turkey and allied rebels, the Free Syrian Army, captured various towns in northern Syria in the west of the Euphrates in 2017 and the northeastern Syrian region of Afrin in 2018. Since then, the focus of the government in Ankara has been on developing those areas and the voluntary return of Syrian refugees instead of keeping them in the country. Hundreds of thousands of people have returned to Syria from Turkey after Ankara’s operations in northern Syria and Afrin. 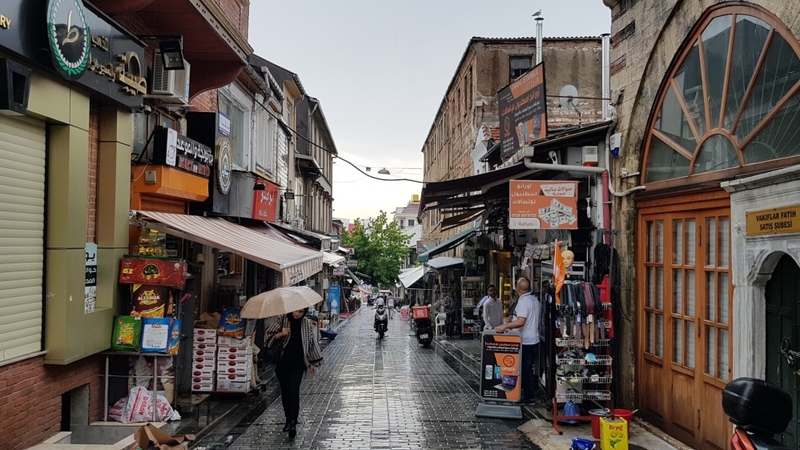 Despite the calm and settled atmosphere in Fatih, there has been some frustration among some Turks who believe that the Syrians received better financial support and incentive policies by the Turkish government than the country’s own citizens. Furthermore, some people in the poorer parts of the society see the arriving refugees as rivals for low-wage jobs and customers. Official statistics say there are more than 3.5 million Syrian refugees in Turkey as of June, and according to a recent study the figure keeps rising – as well as hostility towards them. “Incidents of intercommunal violence increased threefold in the second half of 2017 compared with the same period in 2016. At least 35 people died in these incidents during 2017, including 24 Syrians,” the study said. Back in Malta Market Street, a Syrian from Hama, who asked to remain anonymous, stands inside his own confectionery store. “It was not easy to open this shop,” he told Al Jazeera. “Turkish landlords ask for illegal and significantly high fees from Syrians before they let us rent commercial spaces,” he added. “The rents asked from Syrians are higher, as well. I spent a lot of money to open this place, but now my life is in order,” he said, joining voices with the others in his desire to get Turkish citizenship. He says his customers are predominantly Syrian, but sometimes Turks buy his sweets too. Hasan Aziz, who works for Alraii, a restaurant chain with three branches in the area, agrees. “Most of our customers are Syrians,” said the 21-year-old.